The Quality Inn Maingate West is conveniently located in the middle of the attraction universe, less than two miles from the Walt Disney World main gate. An Official Disney Ticket location, this Kissimmee hotel allows guests to purchase Disney park tickets in the lobby, avoiding the long ticket lines. The hotel also offers a free shuttle to the Magic Kingdom, MGM Studios, Epcot and Animal Kingdom. 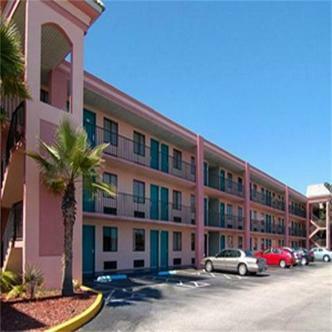 The hotel is within walking distance to a variety of restaurants and several shops. While at the property, guests can swim in the heated lakeside pool, visit the gift shop or play video games in the arcade. In-Room Safe charge: 1.96/night.